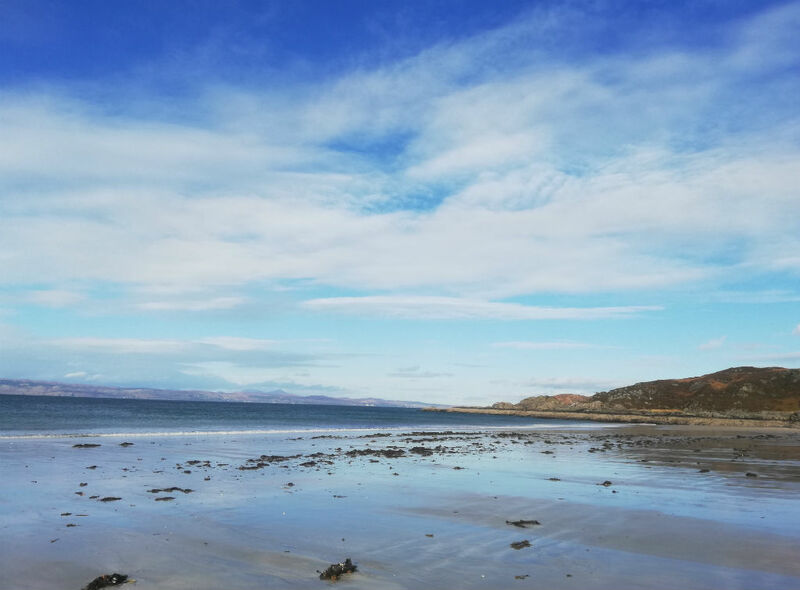 The beautiful, iconic Camusdarach beach is just a few minute’s walk away, plus there are white beaches all the way from Back of Keppoch, near Arisaig to Tougal, and the Silver sands of Morar just minutes in the car. 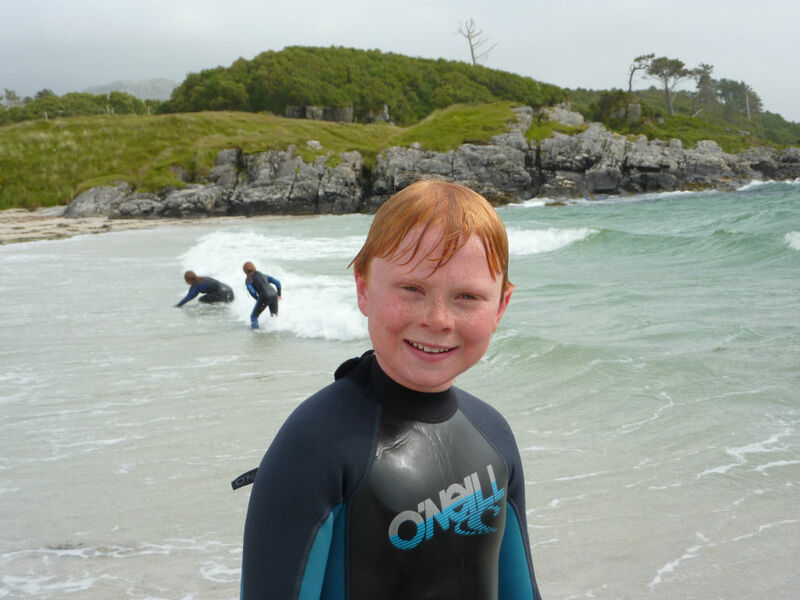 The beaches are popular with body boarders and Kayakers. 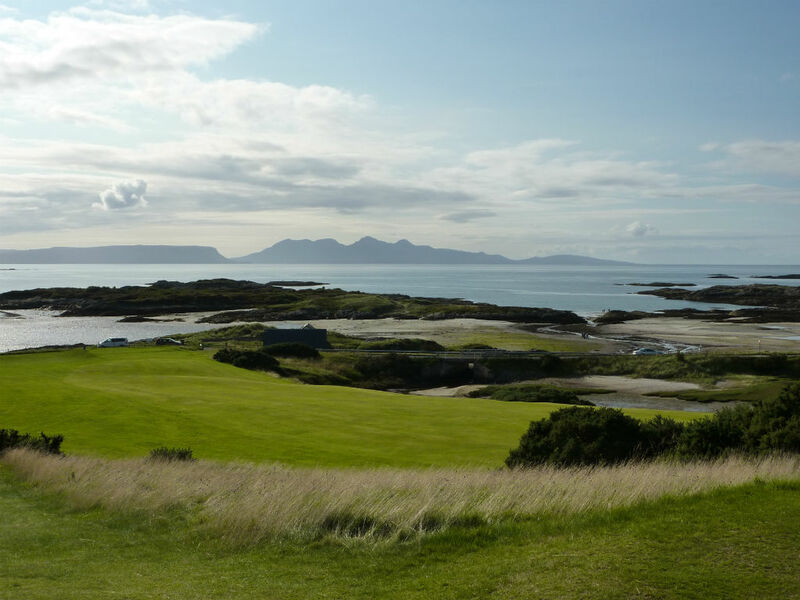 Also just minutes away is Traigh Golf Course; regarded as the most scenic 9 hole course in the world. There are stunning views from every hole, each with its own challenge. 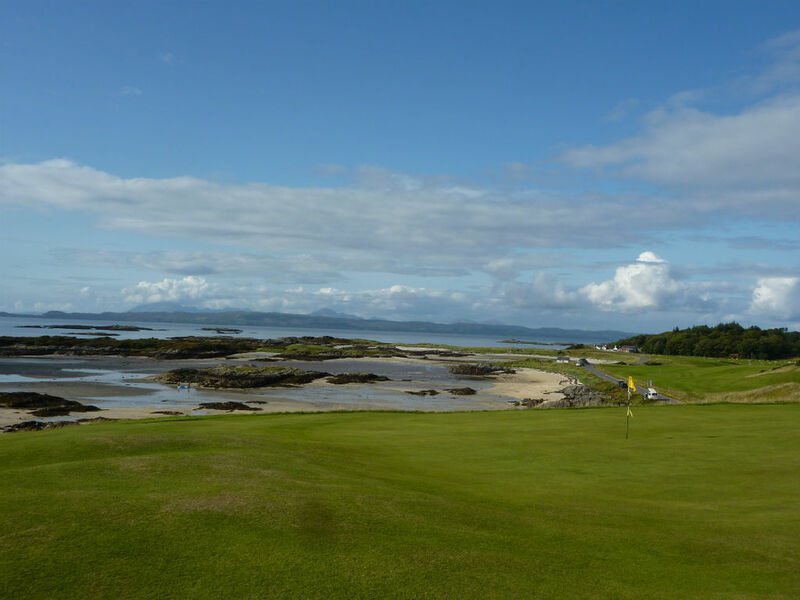 The front 5 holes run along side the beautiful beaches with rocks and rock pools, rivulets of water and seashells galore. The 6th goes back over the tidal burn, (photo) and the next 2 are longer with views over Craigmor, and finally the deceptively simple par 3, 9th hole. (just a hit down the hill!). Clubs are available for hire at the clubhouse which also sells tea and coffee, snacks and ices both to players and visitors. Mallaig is a busy working harbour, with fishing boats, large and small, ferries and yachts on the move all the time. Mallaig lifeboat is berthed in the harbour and there are boats offering fishing trips, wildlife watching, bespoke trips to the islands, remote areas for biking, as well as the Ferries over to Skye, the Small Isles; Rum, Eigg, Muck and Canna, and Inverie, and across the Minch to Lochboisdale in S Uist. From Arisaig with its sheltered moorings you can take “The Shearwater “to Eigg, Muck and Rum with wild life watching on the way over.